I think Maggie's face says it all! 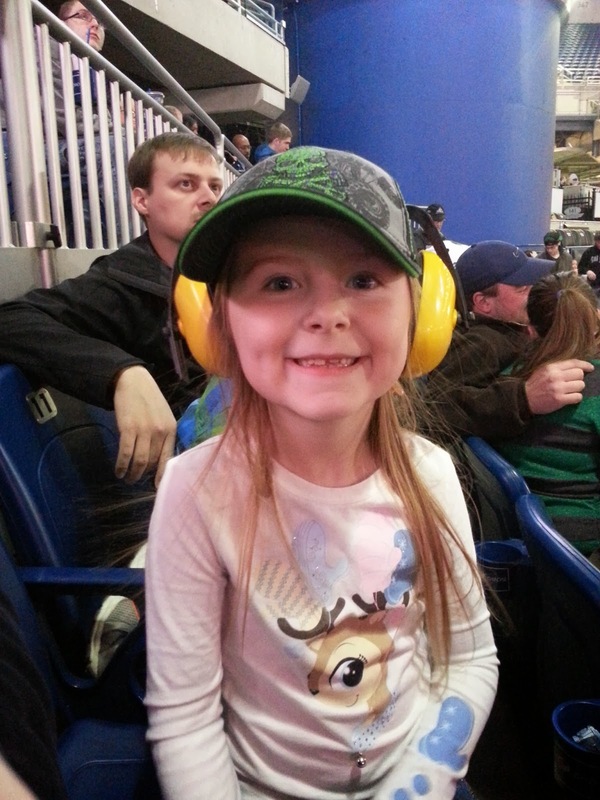 And she's wearing her new GraveDigger hat too ;) Everyone loved the Monster Jam on January 11. Jack was exhausted, and ended up sleeping through part of the show. I figure if you can sleep through the noise of Monster Jam, you really need a nap. Silly boy. A big group went this year, with hubby and our two kids, as well as a couple of his friends with their kids or friend's kids. The show was exciting as always, and we're excited to check them out again when they're in town in early spring. Save the date - March 1, 2014 back at Ford Field in Detroit! Yay!! you guys sure do a lot of fun stuff... do you remember doing lots of stuff when you were a little girl?